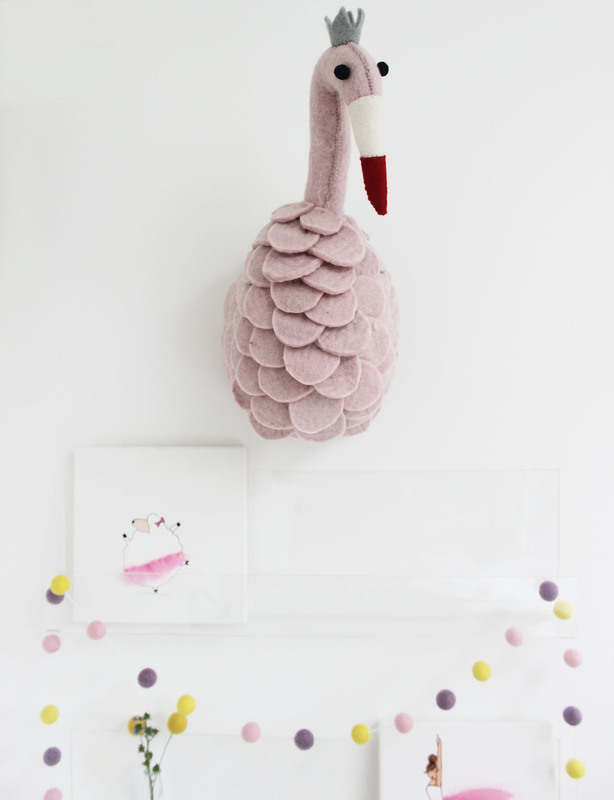 The playful felt flamingo head will add that splash of colour and depth to your blank canvased walls. 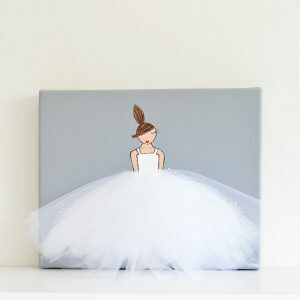 Perfects for a babies nursery, kids bedroom and playroom or even your living, dining room or hallway. 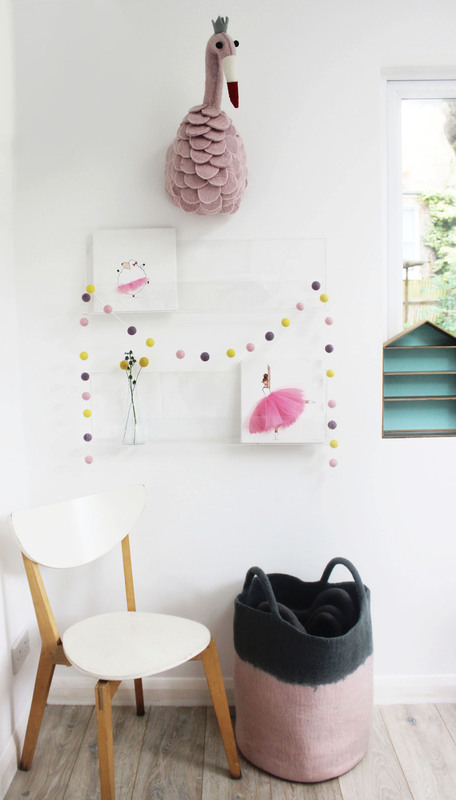 The flamingo animal head will complete your gallery wall with an element of quirkiness. Her name is Fern the Flamingo. 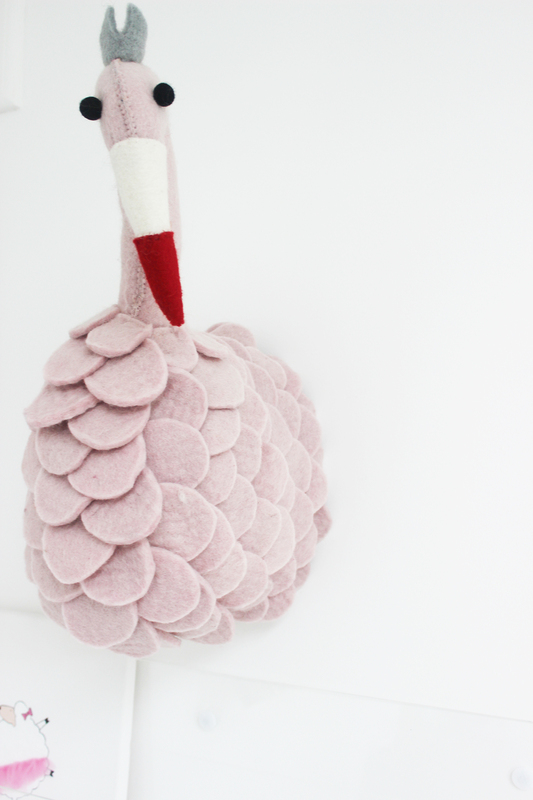 This trendy Felt Flamingo Animal Head, is the perfect wall-hanging for any space. With a combination of fun colours, textures and shapes the flamingo head is stuffed with a polyester filling, and adds depth and fun to a child’s nursery, bedroom or playroom wall. Not limiting to children’s rooms – If the room is a blank canvas with neutral walls, adding this felt flamingo animal head will inject an element of playfulness into the space. Soft pink, with a red beak and grey crown. Each feather is hand cut and stitched to perfection. Approximately 20cm deep x 50cm high and 15cm wide. 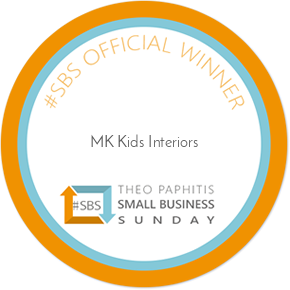 Due to its handmade nature the sizes may vary and the lead time for pre-orders is approximately 4 weeks. 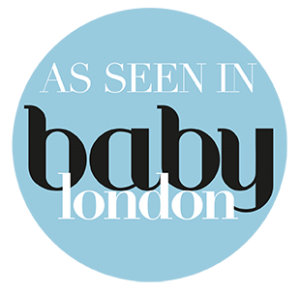 Our felt ball garlands and felt baskets can be combined to make the perfect collection.